Memory is often taken for granted in a world where paper and transistors store information better than neurons ever could. 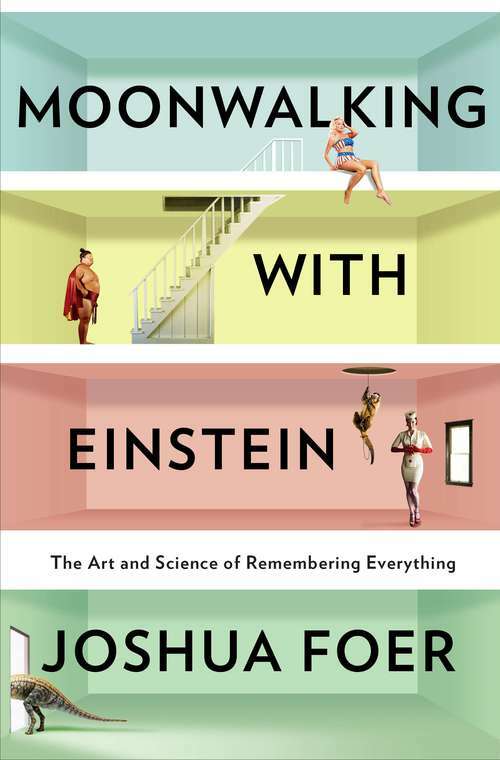 Moonwalking With Einstein shines a much-needed light on the art of memorization. It could have been a dry collection of basic science and light philosophy on the subject, but Foer makes it riveting by telling the story of his own head-first dive into the world of memory as sport. I had no idea this went on, but every year, there are regional and worldwide memory championships in which people compete to perform seemingly superhuman feats of memory, such as memorizing decks of cards as fast as possible, or recalling hundreds of random numbers. After covering one of these events, Foer became so curious that he began training to participate himself. What he discovered is that these impressive acts of memorization actually boil down to a few simple tricks that anyone can learn. While not a how-to manual, the tricks are simple enough that anyone can pick them up just by reading about how Foer learned them. I can still recall a list of 15 unusual items (in order) that Foer’s mentor, Ed Cooke, used to first teach the memory palace technique. It’s only a matter of practice and refinement for anyone, no matter how forgetful, to memorize several decks of cards. This humanization of the extraordinary carries throughout the book. Foer himself keeps a modest tone about his damn impressive accomplishments, emphasizing that he’s just a regular forgetful dude who lives in his parents’ basement. The other memory championship contestants, too, can do amazing things during the contest, but it’s clear that the ability to memorize a poem doesn’t translate to a successful personal life. In fact, Foer is critical of those who do profit from using memory tricks. His contempt for Tony Buzan, the entrepreneur who makes millions on books and sessions related to memory, comes through every time Buzan’s name comes up. He might as well add “coughBULLSHITcough” after every claim of Buzan’s. More substantially, a tangent on savantism takes a strange turn when Foer begins to suspect that one self-proclaimed1 memory savant, Daniel Tammet, may have more in common with the memory championship contestants than with Rain Man2. When Foer confronts him about it directly, things get a bit uncomfortable. By wrapping fascinating facts and anecdotes about memory up with his own story, Foer keeps it riveting throughout. This is one of those books that I literally had trouble putting down. Anyone with even a passing interest in the human mind should remember to stick Moonwalking With Einstein in their brain hole. 1 And expert-proclaimed; psychologist Simon Baron-Cohen (yes relation) studied Tammet and was more convinced of his traditional savantism. 2 The inspiration for Rain Man, Kim Peek, also makes an appearance and is more convincing as having freakish memory naturally. This entry was posted in book reviews, general science, psychology, technology. Bookmark the permalink.